So, you’ve bought a metal detector and are ready to start hunting for hidden treasure. How do you get started quickly and effectively? Metal detecting isn’t complicated, but there’s a right and wrong way to do it. In this guide, I’ll show you how to prepare your kit, find a hunting ground and get your first signal. 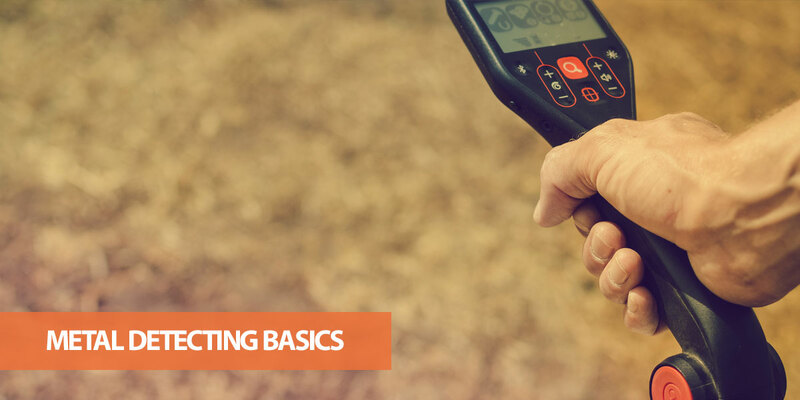 It might sound obvious, but it's important to understand your detector’s settings and features. The more comfortable you are with your machine, the less time you’ll waste and the higher your chances of finding real treasure. The best place to start is the instruction manual. Go through each setting on the machine at home until you understand how each works and can be adjusted. If you need more in-depth guides, YouTube is also a great place to look. Detection Mode – Modern metal detectors usually have preset detection modes to focus on certain types of object. Common settings include coins, jewelry, relics and all types of metal. Discrimination – The discrimination setting lets you filter objects you don’t want to find. If you’re in an area with lots of trash, for example, you could set the detector to ignore iron. This allows you to “discriminate” objects that are more likely to be interesting. Ground Balance – Soil contains trace amounts of metals which can sometimes trigger a detector. If you find you’re getting constant pings for iron but there’s nothing there when you dig, the ground balance setting tells the detector to ignore iron up to a certain threshold. Sensitivity – The higher the sensitivity the more the detector will find, but this isn’t always what you want. If you’re in an area with lots of pipes, for example, a lower sensitivity is often better. It’s also a good idea to test your machine before you head to a real search site. Gather a collection of different types of metal and bury them at various depths. Sand pits are great for this, but anywhere you have permission to bury a few items will do. Once the items are buried, make sure your detector picks up each item. Try adjusting the different settings – especially sensitivity, discrimination and ground balance – and see how they affect the signal and which type of metal is detected. Note: If you’re testing jewelry, be very careful about losing it. You may want to tie floss to the item, so you can easily retrieve it. Durable gloves – You're going to be digging through dirt, sand and metal, so it’s important to keep your hands safe. A tough pair of gloves is one of the most important accessories for metal detecting. Headphones – While you don’t need a big pair of over-ear headphones, they are the best choice for hearing your detector beep when it finds a signal. Any headphones with volume control can do the job though. Digging Tools – Having the right digging tool doesn’t just make your job easier. It can also the reduce damage to the ground which is essential for being a responsible detectorist. A small trowel can do the job, but a sand scoop for beaches or Lesche digger for soil are better options. Coil Covers – If your detector doesn’t include a coil cover, it’s worth buying one. They are relatively cheap, but can prevent dents and scratches which can reduce effectiveness. Whatever tool or accessory you’re buying, it’s wise to spend a bit extra for higher quality. A cheap digging tool, for example, may break when it hits a rock or hard soil. Low quality gloves are likely to tear and may not provide the protection you need. There’s nothing worse than having an essential item break while out hunting. With that said, don’t spend too much on unnecessary items when you’re first getting started. There’s almost endless gear you can buy for metal detecting, including pouches, knee pads, various types of scoops, diggers, additional coils and more. These are all useful – but there’s no point spending lots of money before you’re sure you’ll enjoy metal detecting. There’s one potential exception though: a pinpointer. This is a small and relatively cheap metal detector (usually around $25) that can help “pin point” an item after you’ve found a signal. Once you’ve found a target and dug a plug, the pinpointer provides a more precise location so you can pull it up much faster. Do you really need a pinpointer though? When you’re first starting out, a pin-pointer isn’t essential – but it’ll probably be one of the first accessories you buy if you enjoy the hobby. It’s not uncommon for a pinpointer to save several minutes of digging when trying to retrieve a target. Over the course of a session, this can literally save hours of time, which makes detecting more fun and efficient. After all, the less time it takes to retrieve a target, the more signals you can find and the higher your chances of getting something good. It’s vital to make sure you’re allowed to detect on a location though. Hunting where you’re not allowed can result in fines for trespassing and being banned from other locations – so it’s not something to be taken lightly. National park rangers may even confiscate your detector if you use it in the wrong place. How can you get permission though? For private land, you should always talk to the landowner before you start hunting. Make sure you know the boundaries of the owner’s land too, as it’s easy to wander onto someone else’s property. For government-owned property, such as public parks, get written permission from the local government. Metal detecting is nearly always banned from federal parks, so these are best avoided. On the other hand, most beaches are fine for metal detecting. The exceptions are if a beach has a private owner or is owned by federal/state governments – in which case metal detecting is almost certainly not allowed. You may still need a permit for hunting on beaches though - although this depends on where you live. In the UK, for example, you can get permits from the Crown Estate. If you only take one thing from this article, it should be that getting permission is essential. If you have written permission, keep this with you while hunting so you can show it to anyone who asks. Choosing the right locations to hunt can make the difference between success and frustration. It pays to research potential sights before you go – especially if you want to find historical items. What should you look for in a hunting spot though? Private Land. Private land, while more difficult to obtain permission to hunt on, is nearly always the best place for metal detecting. Most private land is “fresh” – no-one has ever hunted there before. This makes it great for finding artefacts or rare items. High Activity Locations. Places such as fairgrounds, sports fields and parks have a continuous supply of potential finds. People lose objects all the time, so you can find a surprising array of coins and even jewelry. Beaches. There’s a reason you’ll often see metal detectors at beaches! A beach is a great place to find everything from jewelry to old coins, as new items become accessible both via natural processes and beach visitors. The downside is that you’ll be competing with other detectors, so it’s best to go after busy days or a storm. Old Sites. Finding relics can be challenging, so you’ll need to spend more time looking for historical sites. These don’t need to be of major significance, but the land should have been used for a long time. A local park that’s been around for hundreds of years, for example, is more likely to contain relics. A field that was once a park but is now disused is even better. Old maps can be useful for finding sites, but Google and libraries are also fantastic tools. Wherever you detect, make sure you leave the land looking the same as you arrived – otherwise you probably won’t be allowed back. That means filling in all your plugs and being respectful of the land. The in-depth research required to find the best hunting grounds is beyond the scope of this article. As a beginner, you’ll probably want to stick to obvious locations for your first few trips. Here are a few tips for identifying productive sites to increase your chances of finding relics and rarer coins though. Google. Your local area may have websites dedicated to its history. These are great for finding areas that were once highly active but are less used today. Maps. If you can find historical maps of your local area or town, it’s relatively easy to identify areas that have changed. Woodland that used to be a house, for example, could be a great place to search. The best place to start looking for historical maps is your local library. History Books. Some areas have historical societies that publish information about the town’s history. Like old maps, these can be great for finding areas of historical importance. I don’t want to sound like a broken record, but you always need to get permission to hunt on land. In many cases, this is as simple as just asking the landowner. You may also need to explain how you’ll ensure that the land is left in the same condition as you found it. Some people will say no – and there’s nothing you can do about it. Just make sure you’re honest and friendly, and don’t get disheartened if you get some negative responses. So, you’ve got your detector, learned how to use it, bought your basic kit and have permission to hunt in a specific location. It’s finally time to start hunting! Begin with the search head just above the ground. It shouldn’t touch the ground, but should be low enough for the signal to penetrate as deep as possible into the soil. Place the detector around two feet ahead. As you walk forward, slowly sweep the detector in a semi-circle. The detector should swing around a foot either side of you. Make sure you walk in a straight line. This means you won’t re-search the same ground after you turn. The key phrase you’ll often hear about the swing is “low and slow.” Getting it right can take some practice, but before long it’ll feel natural. Once you hear a beep from your detector, stop moving then switch from a wide swing to moving in small circles. This lets you determine where the object is with higher accuracy. You may also want to increase the detector’s sensitivity while you find the exact location. The next step is to dig a “plug.” Instead of just digging a hole, a plug can be replaced which allows the ground to recover faster. A proper plug also avoids destroying grass roots. Use your digging tool to cut a horseshoe shape around the target location. You don’t need to cut a full circle. Make sure you cut at least 3” deep, even if the item is shallower, as this protects the grass roots. Use the digger to flip the plug upside-down, using the uncut portion as a hinge. Place a small towel next to the hole. If you can’t see the target item, use a pinpointer to check whether it’s in the plug or still in the ground. If you need to dig, remove the soil and place it on the towel into you recover the object. Rescan the hole to check if there are other objects in the same location. Many people don’t do this, but it’s common to find multiple items – especially on beaches where tidal action can group objects together. Tip the soil back into the hole, then flip the plug back into position. Step on it several times to ensure it’s secured, then brush up the grass so it’s not matted. This might sound like a long process, but it becomes faster with practice. It’s also essential if you want to leave the land in good condition – no-one wants a park filled with ugly holes! Once you’ve found your first item, continue walking on a straight line. Once you reach the end of the area, step 1-2 feet to the side and go back the way you came. This creates a small overlap to ensure you don’t miss fringe objects. While there is nothing wrong with searching randomly, this systematic pattern makes it less likely that you’ll miss an object. 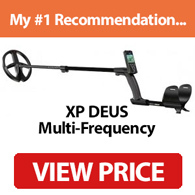 Many people imagine detectorists are hunting for that elusive beep which almost certainly signals buried treasure. This isn’t actually the case - almost any hunting ground will yield plenty of targets. The bad news is that many of them will be junk. This is why it’s important to have patience with this hobby. It can get disheartening to keep digging up trash, but this is just part of the game. Don’t expect everything you find to be hidden treasure – it just doesn’t work that way. Discriminating out trash is possible and can reduce false targets, but you’ll also miss good targets with similar signals. Finding the right settings takes trial and error, but you’ll get better over time. The most important thing is to avoid treating metal detecting as a chore. It’s a hobby that’s meant to be enjoyed, so try to think of each piece of trash as getting one step closer to a “real” target. If you’re struggling for motivation, you can also look up some of the best metal detecting finds to see what’s out there. One of the best things about metal detecting is spending time outdoors. If you’re sick of sitting in an office or watching the TV, it’s a fantastic way to explore parts of your local area that you never would have seen. Being outdoors also carries some risk though – especially as some people may assume you’ve found valuable items. Aside from being aware of potentially dangerous wildlife and fauna, make sure you’re sensible about what you say – especially if you’re hunting on your own. If a stranger asks whether you’ve found anything good, it’s often best to just say “no, just trash today!” Be friendly, but also aware that if you show your finds and someone claims them as lost, it’s hard to prove otherwise. Also, keep in mind that your detector is a valuable item. If someone asks how much it cost, it’s often best to lie and say it’s a cheap one you bought second-hand. The vast majority of people will either ignore you or are genuinely curious about what you’re doing, so don’t let this section put you off hunting. Be friendly and polite – but also aware of the potential dangers. At its core, metal detecting is a simple hobby – but it can be highly rewarding. I hope this article sets you on the right path to your first finds. Most importantly, remember to enjoy yourself!